Whatever your do, get started now by using the request form below or calling ES Gallon’s Workers’ Compensation attorneys. Don’t wait too long – there are time limits that the Workers’ Compensation system imposes on you. And even if it’s been awhile since you were hurt, you might still have options under Ohio’s Workers’ Compensation laws. We can help you determine if you still might have time to file a claim, even if it’s an old injury. ES Gallon represents only injured workers – we do not represent employers. Being the oldest workers’ compensation law firm in the area, we have been representing injured workers in the Miami Valley for more than a half century. Our attorneys have more than 100 years of experience combined. We will fight for you. Belinda’s story. Belinda’s work-related injuries left her in pain and unable to do her job. When her employer refused to help, Belinda called ES Gallon attorney James Piercy. James fought for her and she was awarded permanent total disability. Belinda is still recovering, but the award she received has eased the financial strain on her and her family. My name is Belinda and I got hurt at work. If it wasn’t for E.S. Gallon and Associates I don’t know what I would have done. I’ve been through a lot – three different accidents, and they’ve been behind me with every one of them. It wasn’t like going to a lawyer’s office and them making you feel like you’re underneath them, they made you feel like you’re a part of them. I was trying to get back to work and I just couldn’t. Attorney Jim Piercy made me comfortable going to the hearings. 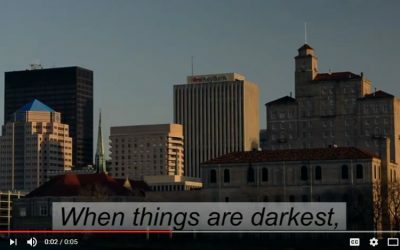 I went through a lot of depression over fighting all this stuff, but E.S. Gallon was there for me. They’ve got it in their heart to help people and that’s what I needed. With the settlement, he got me I’m going to have a life again. If you’re looking for a good lawyer look for ES Gallon, cause they were they for me they’ll be there for you. Pam’s story. ES Gallon Attorney Joe Ebenger talks with his client Pam about her experience with the Ohio Workers’ Compensation system and how ES Gallon assisted her through the process. My name is Pamela and I was hurt at work many years ago. I was working as a social service staff member and I was driving one of our nursing home residents to a doctor’s appointment and I was injured in a car accident. In an hour after the accident I started feeling the stiffness and soreness in my back and my neck. I was off work for about a year. I ended up going to a pain clinic in Cincinnati, it was a very harsh treatment but that was what I needed at the time. I continued to struggle and work off and on for a number of years. I got my nursing license and worked as a nurse for 20 years. One day I reached a point when I just couldn’t do it anymore. My body hurt every day and emotionally I was a mess because of the stress of having to get up and go to work every day. I went to my back doctor’s office and had a meltdown. So I went back to ES Gallon Attorney Joe Ebenger. The doctor agreed I couldn’t go back to work. Now I have the money to live off of for the rest of my life. I’m in the process with the bank to keep the house and I feel like I’m in heaven. What’s unique about Pam’s case – she was hurt in 1990, but we continued to represent her over the years with the ultimate goal of making sure that she was taken care of for the rest of her life. This is why we’re in existence, this is what we do and why we do it for our clients and I’m pleased to tell you that Pam now enjoys lifelong financial security. Her benefits will never end. I’m so happy that I came to ES Gallon and not somebody else. When I was hurt at work I came to ES Gallon and it was many years ago and over the years they’ve been wonderful working with me and the best thing I have to say is that they worked hard enough I don’t have to worry about having to work to live. They got me a lifetime award for my injuries. Donna’s story. Donna was injured at work on three separate occasions. After the third occasion she realized she needed some help and called ES Gallon to handle her workers compensation claim. Attorney James Piercy helped her get lifetime benefits. Donna still has difficult days, but at least she doesn’t have to worry about her income anymore. My name is Donna and I was hurt at work and my company didn’t want to take care of me and give me the benefits I needed to survive on a day to day basis. I came to E.S. Gallon and was referred to Attorney Jim Piercy. And Mr. Piercy was the one who gave what I needed to survive. He made it possible for me to have my groceries, my rent and utility payments. He took care of me. I’ve been hurt three times with the same company. And all I asked was an apology and they wouldn’t even give me that. He won me a lifetime award, where the company has to pay me every two weeks for the rest of my life. He is interested in his people, he looks at you as a family member and treats you as such. He really took all my needs into consideration and it was a blessing to have him come into my life. In a lot of ways he saved my life. I couldn’t walk anymore and my job requires that I’d be on my feet for eight hours a day. I had major back surgery and I couldn’t stand more than five minutes on my feet. I had a broken hand I had my shoulders messed up. I loved my job.And now I have the means to where I can take care of myself and do what I have to do. I could even get myself a better home to live in. I could get me a lift chair to go upstairs and just little things that may not mean a lot to a lot of people but it means a lot for me. That’s what all this settlement means to me. My name is Dave Salyer. I was a client at ES Gallon and Associates. Back in about 1984 I was working in construction and I was on my way to a job driving a van. In the process of another accident happening in front of me and immediately getting out to help out I ended up being pinned between vehicles. I had a rather severe fracture to my right wrist – and I was right handed – and to my left leg. I was in surgery within an hour of the accident. I was taken to Miami Valley Hospital. I didn’t know anything about bills. I didn’t know anything about how I was going to handle my time off from work. I didn’t know how I was going to navigate life at all. Things had suddenly gotten out of control. And I was hurting, and I knew I was hurting. I was in surgery and it was painful. They put pins and wires in my wrist. I was in an auto accident, but it was also while I was on my way to a job. So, I called ES Gallon and Associates. I hired two lawyers, one for the Workers’ Comp and one for the auto accident claim. ES Gallon did a tremendous job, really, both on the Workers’ Comp case as well as the personal injury case against the inusrance company against the person who was at fault for the auto accident. I was able through that process as a client to rely on ES Gallon and my attorneys to do the very best job for me and they did that – they actually did that. In the Workers’ Comp claim they were able to get my medical bills paid so I didn’t have to worry about those and even a percentage of my income while I was off from work and all the awards that went with that under the Workers’ Comp system. That actually helped me to survive, to be able to go through all that while being completely off work. At the same time I had a lawyer for the auto accident so that when the auto accident claim finally settled I was able to get enough of a recovery that I was able to take that money and invest it, really, in a new career. You see, from the accident and my injury to my wrist, that had harmed me in such a way that I couldn’t bend my wrist any longer and because I couldn’t bend my wrist any longer, I couldn’t hold a hammer any longer. I couldn’t do a hole punch any longer. I couldn’t do those things that I had really come to enjoy for six years in construction. When the doctor told me that, then I had to evaluate what can I do. And part of that was with the success that ES Gallon had done resolving my claim. I took a portion of that money and headed off in a new career path and ultimately went to law school and became a lawyer. What’s interesting now is that I am an associate attorney with ES Gallon and Associates, the very law firm that represented me as a client and did such a tremendous job of gaining my trust, that they really knew what they were doing, that they were really interested and concerned for me. In that process I was able to take the best of a very bad situation and redirect it into a new career such that now I’m not you, thinking about whether to retain ES Gallon, I actually was you, and now I’m on the other side of the fence, wanting to gain your trust and I think we’re up to the task. So I’m asking you, if you have a case that you think “Well, the lawyer just doesn’t care, he just doesn’t know what I’m going through,” I can tell you I do. Give us a call at ES Gallon and Associates. My name is Dave Salyer and I’m an associate attorney for ES Gallon. Have you been hurt at work? ESG Attorney Joseph Ebenger talks about the importance of filing a Workers’ Compensation claim. You may have rights that should be protected. One major reason is that everyone else in the process will have legal representation. Your employer will. The Ohio Bureau of Workers’ Compensation will. Your Managed Care Organization will. Workers’ Compensation law is complicated. It is very easy for someone who is not familiar with the law to make a mistake. Don’t go into the process without your own expert. How can a Workers’ Compensation attorney help me with my claim? A Workers’ Compensation attorney can help you develop your case from a legal and medical standpoint and work with your physician to see that the requirements of the law are met. Your attorney can represent you at hearings and give you direction on change of doctors or the medical requirements of a case. Your attorney will also develop the wage aspect of your case to insure that you are being paid the maximum amount provided by law. Even if you were injured years ago, you may still be qualified for Workers’ Compensation. 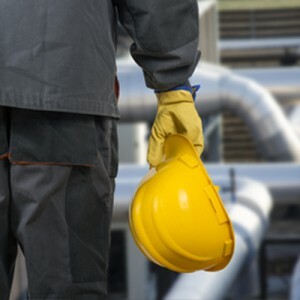 Contact the one of ES Gallon’s Workers’ Compensation attorneys to determine whether your case is still open. In this video Attorney Joe Ebenger, of ES Gallon and Associates, talks about Statute of Limitations. This is all about the time limits you have after being injured at work. The law in Ohio puts a deadline on how long you can wait to file a claim, but it can get complicated. In this video Joe talks about the process and also points out that even if you have an injury that happened awhile ago you might still be able to get benefits. I don't have the money to pay the attorney, what should I do? We get paid when you get paid. When the case is settled we charge a percentage of the total award. We fight for you, so both you and us can get paid. What are some of the major reasons that claims are denied? The major reason is lack of supporting medical evidence. The Ohio Bureau of Worker’s Compensation is very particular about the type of information it requires before approving a claim. Another major reason is the acceptance by employees of applications filed by managed care organizations or medical providers that are not accompanied by the required legal medical evidence resulting in the claim being denied. Sometimes, these claims are even filed without the knowledge of the injured worker. How do I select the best attorney for my needs? Start by finding out what type of experience the attorneys, their support staff, and paralegals have with workers’ compensation. 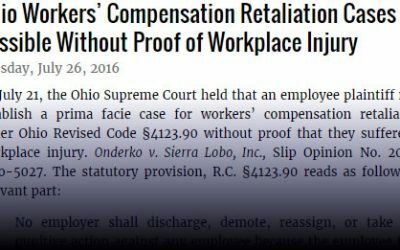 There is also now a Workers’ Compensation Certification issued by the Ohio State Bar Association. Attorneys must meet certain requirements and pass examinations before receiving this specialty certification. Be sure to ask if an attorney has this certification. E.S. Gallon has a team of skilled Workers’ Compensation Specialists. First, we would spend some time with you on the telephone, getting to know the general outlines of your case. Next, we would invite you to our offices where you could meet the attorney who will be handling your case. At that meeting, we would get into more detail about your case. If you decide to hire us to represent you, we would immediately request all the information needed about your case from your doctor, employer, managed care organization and the Bureau of Worker’s Compensation that would help us develop your case. After we have begun developing your case, we would work very closely with your doctors and the Ohio Bureau of Worker’s Compensation to make sure that things move along smoothly. We would represent you at any hearing or other procedure before either the Ohio Bureau of Worker’s Compensation or the Industrial Commission. After a decision, we will review everything carefully for accuracy. If an appeal is necessary, we will file it for you and represent you at the appeal. Should you begin receiving payments from the Ohio Bureau of Worker’s Compensation, we will review them for accuracy. We will also notify you of any future benefits and give you advice regarding a full and final settlement. If you are eligible for permanent or total disability, we will help you file for those benefits. Throughout the entire process, you will have easy access to a team of friendly, professional attorneys, paralegals and other support staff at any time. In this video, ES Gallon Workers’ Compensation Attorney Joe Ebenger talks about our process. Are there things that I can be doing to make sure my case goes well? Keep your attorney notified of any change of address or telephone number. Do not change doctors until you have counseled with your attorney. Work with your attorney in the development of your case. Understand the time limits involved. Make sure each doctor you see knows how the accident or exposure occurred. Notify all medical service providers of your industrial claim number. Assist your attorney in securing medical or other reports as needed. In this video, ES Gallon & Associates Attorney Joseph Ebenger talks about Permanent Partial Disability. A lot of people who have been hurt at work are not aware of this aspect of Workers Compensation. What does it mean? How can it affect a case? You work hard helping others heal. When YOU get hurt at work, get ES Gallon and Associates. Get the help YOU need. Get Gallon.